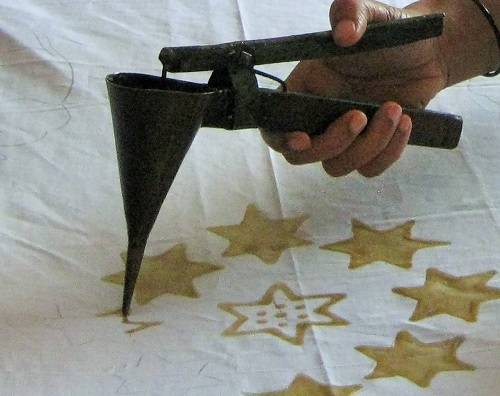 Batik is a form of textile art in which designs are hand decorated on the fabric using a resist made of wax. Removal of the wax to reveal the overall design. This process is repeated until the fabric is dyed with all desired colours to create elaborate contrasting designs and patterns. The fabric is first prepared by being starched. It is then stretched on a frame in order for pre-determined designs to be outlined and transferred from paper. 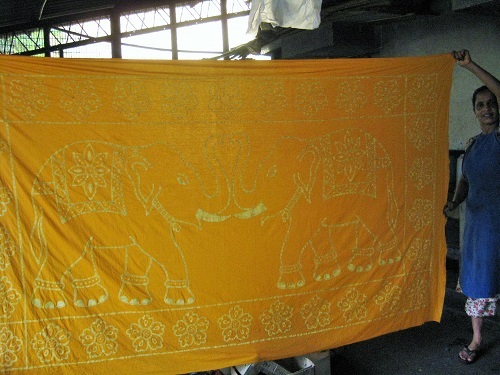 Traditionally, the transfer of designs onto the fabric was done by hand. 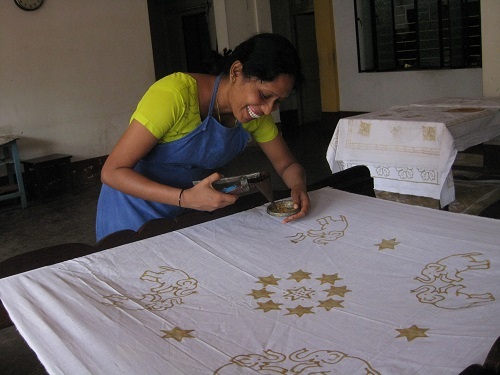 Many Indian batik artisans continue to make use of this traditional production method to ensure authenticity and the preservation of the ancient art form. This is the most intricate and demanding method wherein the designs and patterns are applied onto the fabric using a Tjanting pen or Kalamkari pen. Though Kalamkari pens are used in the production of batik, it is so exquisite that it is considered an age-old art of its own kind. After the first dye the wax is removed and the pattern can be seen. This whole process is repeated again and again painting out different areas of the fabric with wax and using different coloured dyes. 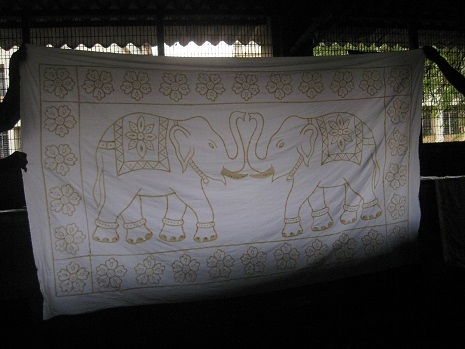 We in MESH sell batik cotton scarves and silk pictures made at The Rehabilitation Unit in St Joseph’s Hospital, Mangalore. Click on the scarf to enter our wholesale store.